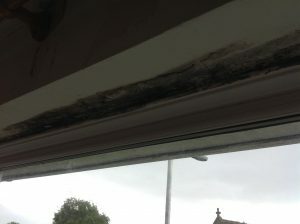 Condensation is an increasing problem for homeowners, landlords and Housing associations in the UK and it can effect us all no matter what type of property we live in or how old the property may be. Common signs such as steamed up streaming windows give an indication that there is a problem. If condensation occurs over a prolonged period of time, other signs will start to appear such as damp patches on walls, peeling wallpaper and ultimately black mould growth! These issues can be unsightly and unhealthy. So how can we identify when a problem may be present? Our ventilation system will combat most condensation problems by replacing moist humid air in the home with fresh air from outside the home. We offer all of our customers the best possible cost effective solution with guaranteed results!